The front door opens into a central entrance hall. A wood floor runs throughout and into the adjoining sitting room, which has a central fireplace with a gas fire and a wooden surround. 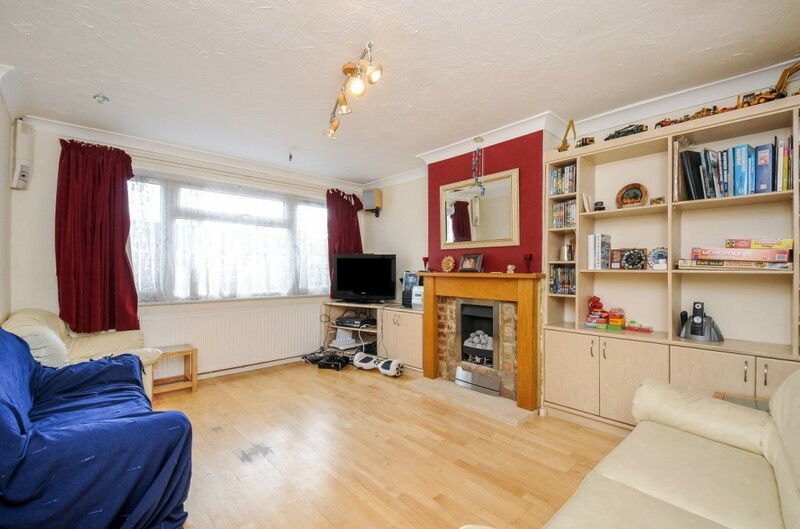 To either side of the fire place are a range of fitted cupboards and shelves. From the hallway a door leads into the kitchen which overlooks the rear garden and is fitted with a range of beech effect units, laminate worktops, a double oven, gas hob, stainless steel extractor hood, dishwasher and a fridge/freezer. The kitchen is open to the dining area, creating a large open plan living space with windows on three elevations. 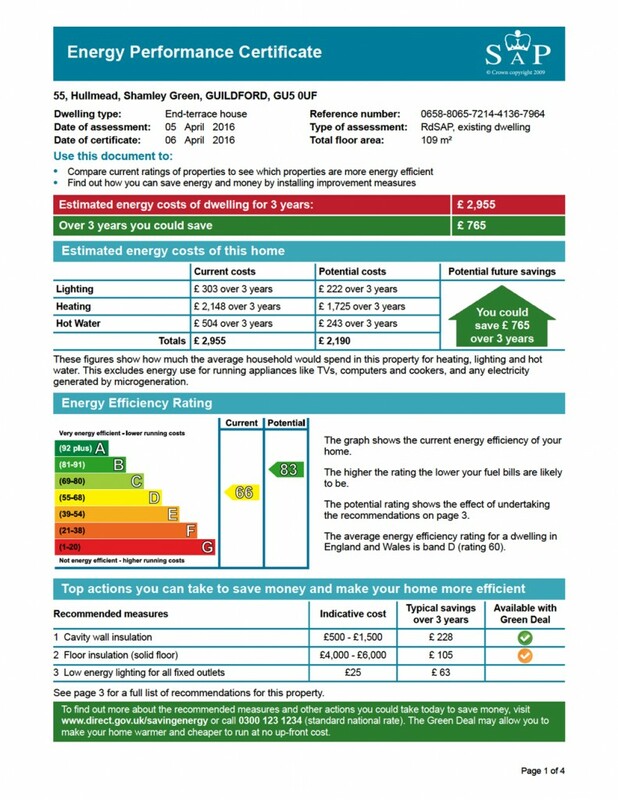 The floor is tiled floor with underfloor heating throughout that also extends into the adjoining utility room. 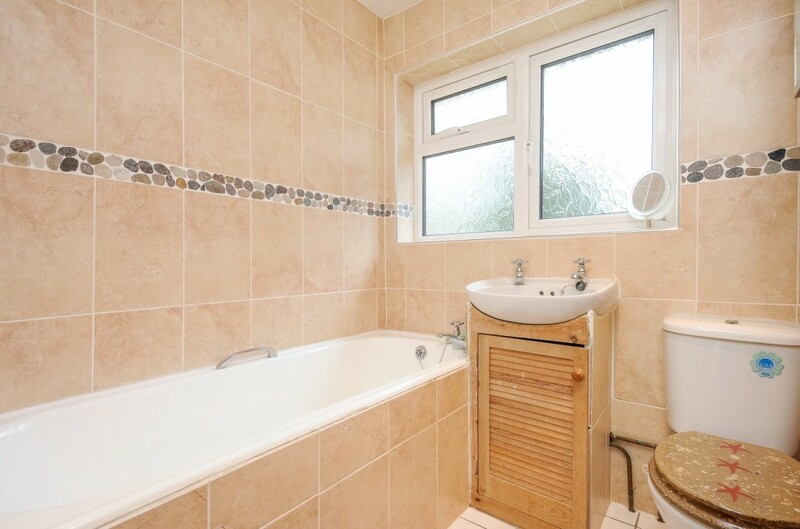 The utility room is fitted with a matching range of units with a sink and plumbing for a washer/dryer. There is a door to the back garden and in one corner is a cloakroom with a toilet and basin. 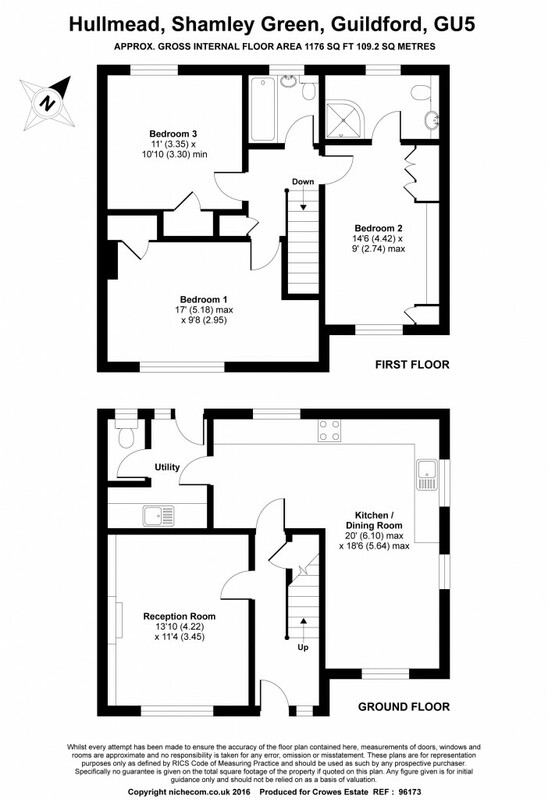 Stairs lead to the first floor landing and Bedroom one has a range of built in furniture and an en-suite with a corner shower, a basin and wc with concealed cistern that are set into a vanity unit with cupboards and drawers, and a tall chrome heated towel rail. 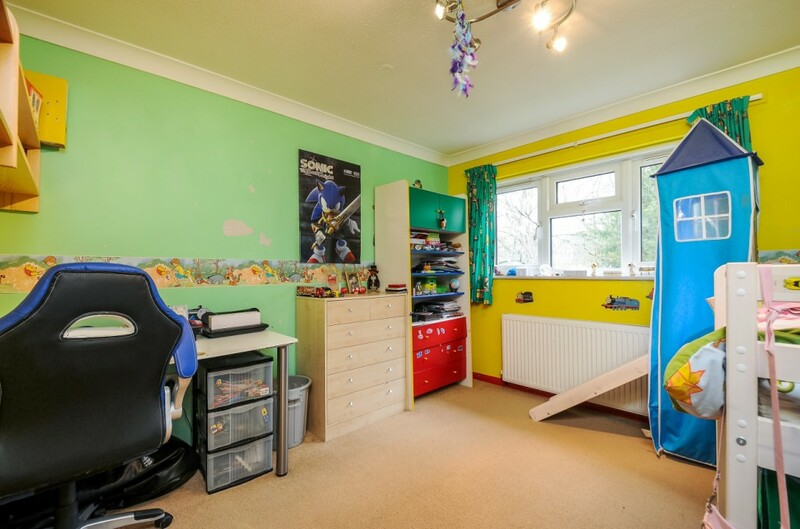 Bedroom two is to the front and is a generous size with a built in cupboard and a desk in the alcove with cupboards above. 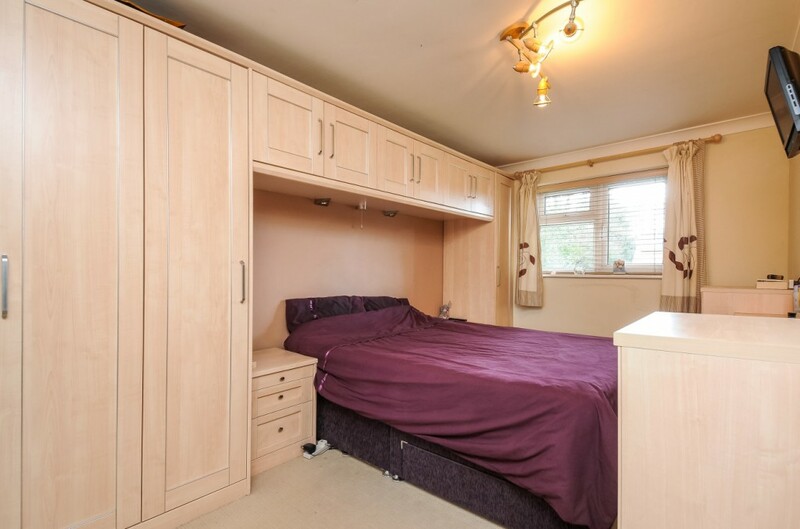 Bedroom three is also a good size and is situated to the rear with a built in cupboard. The family bathroom has been finished with modern tiles throughout and is equipped with a white suite of bath, basin and wc. 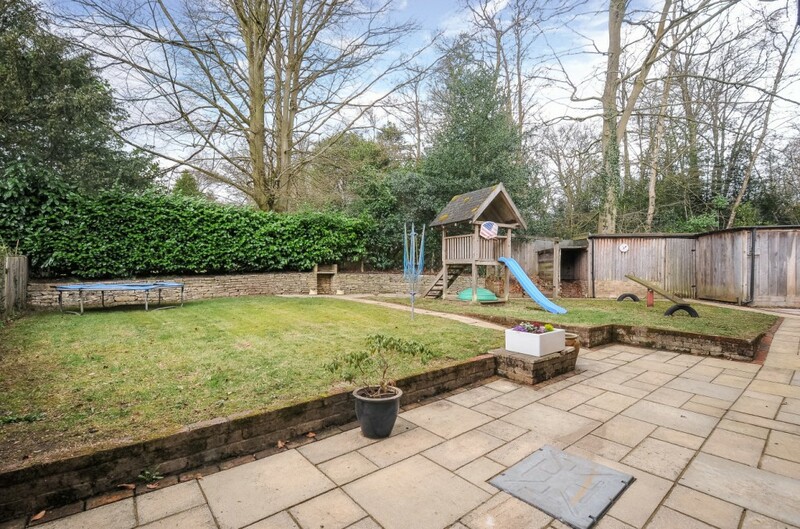 The garden is an attractive feature and being a corner plot wraps around two sides of the property. It has a paved terrace to the rear, with pathways and brick edging that lead around the lawn and along a dry stone wall on the rear boundary. There is a play house on stilts with a slide and a swing set and a see saw. To the side of the property is another terrace which enjoys the afternoon sun and two large garden stores. There are gates to the side of the property allowing access for storage. To the front of the property a driveway leads across an area of Green with parking in front of the house, which is subject to a license agreement from Waverley Borough Council. The property is situated in the heart of the picturesque village of Shamley Green, which is a quintessentially English, being situated around a cricket green with two pubs that both serve excellent food, and a local shop and post office. It has a highly regarded Primary School, which has just been awarded an ‘outstanding’ in a recent Ofsted report. The village sits at the foot of the Surrey Hills, with easy access to Farley Heath and in turn to Blackheath and Winterfold. Altogether there is over 3,000 acres of woodland and heathland that is held in trust and open to the public. It is therefore a haven for walkers, horse riders and cyclists. The larger village of Cranleigh is 3 miles to the south and is on the main route from Guildford to Horsham and is said to be the largest village in the country. The High Street boasts two independent department stores, M&S Food, Sainsburys and a selection of restaurants and cafes, many with pavement seating. The modern Health Centre, Leisure Centre and Arts Centre are situated at the southern end of the High Street. The County town of Guildford is 5 miles away and provides a mainline train station with a fast service to Waterloo. The A3 also provides quick access by car to the M25 and central London. Guildford provides a diverse range of social and recreational facilities: including the Yvonne Arnaud Theatre, Odeon cinema multiplex and The Spectrum leisure centre with facilities including ice skating, bowling, swimming pools and an outdoor athletics track. 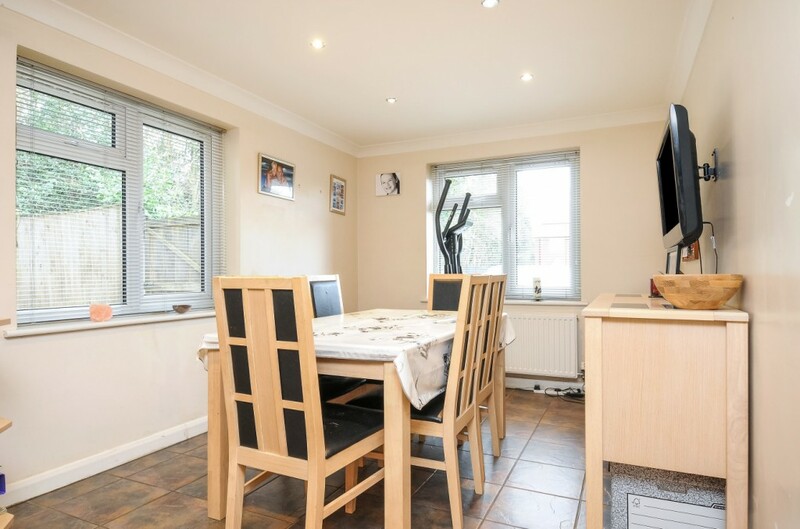 This extended family house provides spacious accommodation including three double bedrooms, two bathrooms and a large L-shaped kitchen/dining room. 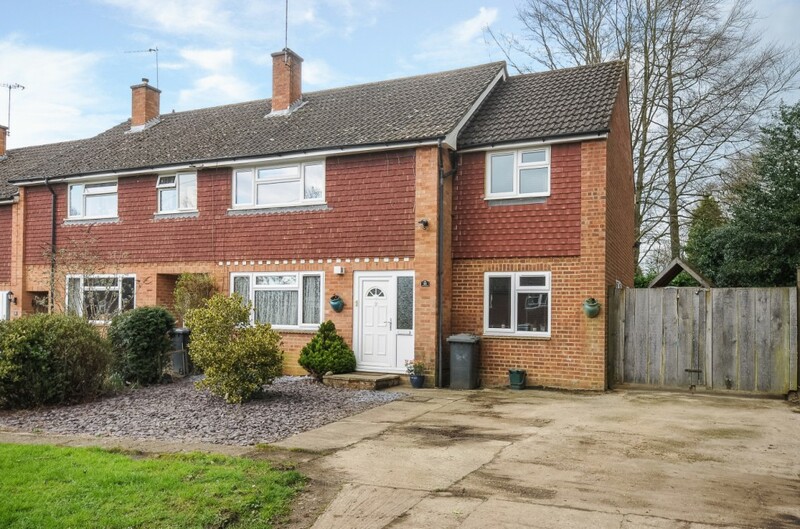 It occupies a corner plot with an attractive landscaped garden. 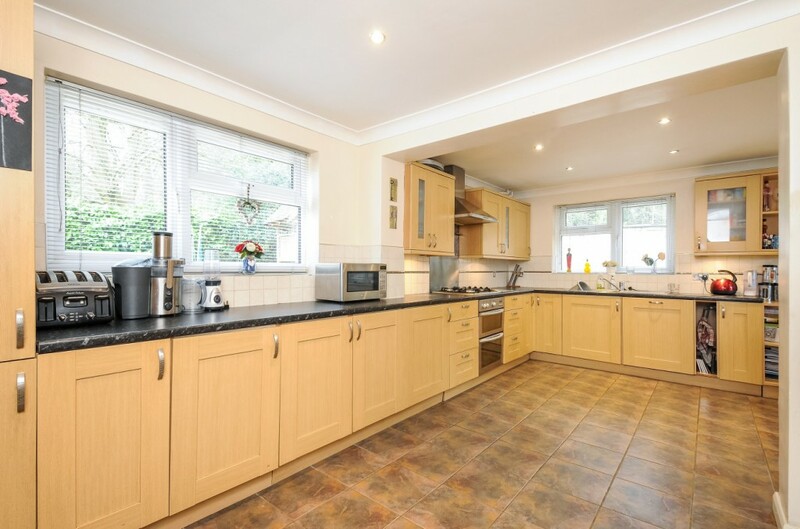 It is situated in the heart of the village, near the cricket green and the local shop, and is within a walk of the local primary school, considered ‘Outstanding’ by Ofsted.